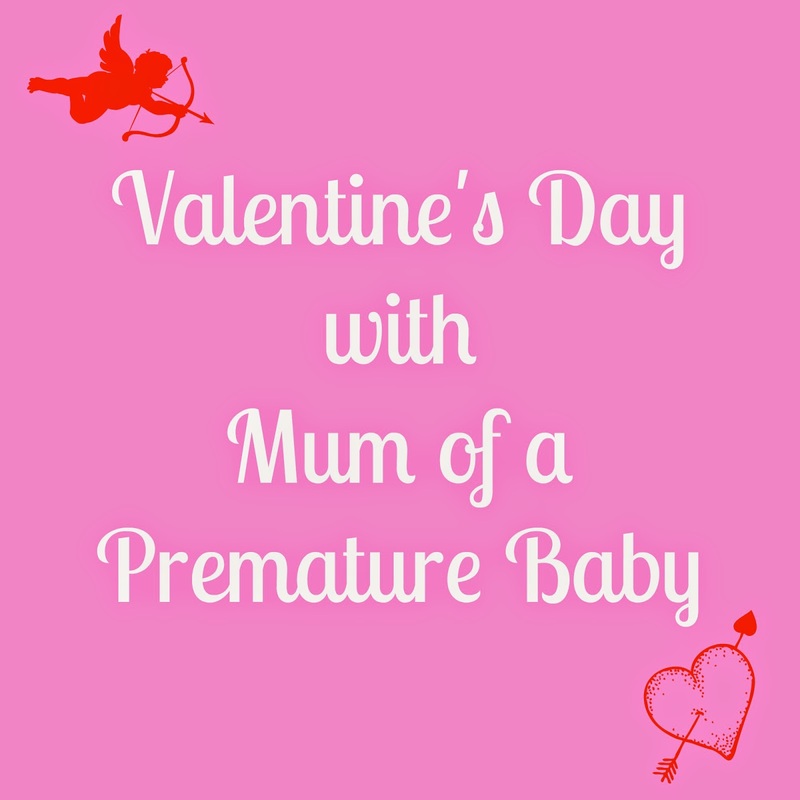 When it comes to Valentine's Day gifts, I think one of the first things that pops into everyone minds is: chocolates! It's a go-to gift and everyone loves them. 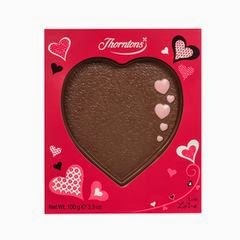 Master chocolatiers, Thorntons, have released a range of chocolate-y items specifically for the season of love. Firstly, the Irresistibles range. These retail at £6.00 each and you can get get Gooey Caramel (200g), Nutty Pralines (200g) or Belgian Chocolate (220g). 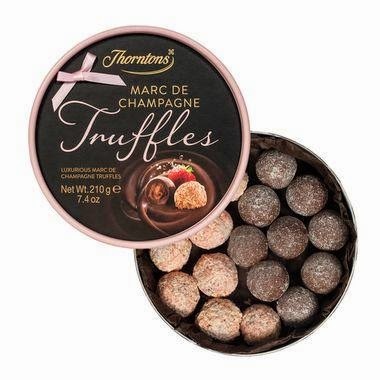 If you're after something a little more fancy, look no further than the Marc de Champagne Chocolate Truffles (210g) for £10. They are a luxurious fusion of fresh, juicy strawberries with a hint of pink champagne in the finest milk chocolate, dusted with icing sugar. 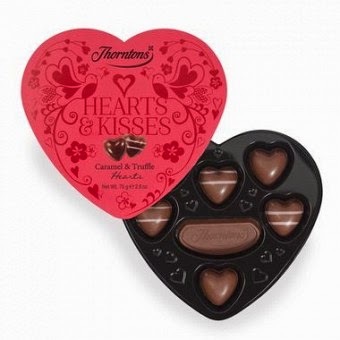 The Hearts & Kisses Box (75g) at £4 is a lovely gift idea for a caramel lover. This heart-shaped box is filled with chocolate hearts with soft caramel centres. I definitely think these would be my favourite to receive! 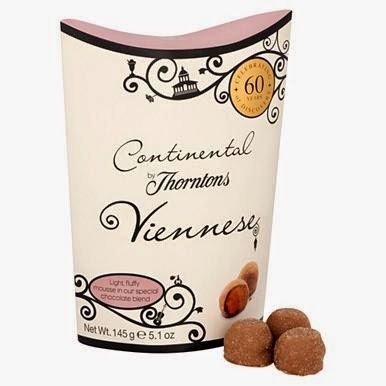 If you're still looking for "The One", why not treat yourself to one of Thorntons signature Continental collection? The Alpini box and Viennese Truffle box both retail at only £5. I love a good personalised item so this Heart Plaque (£5) is one of my faves. You can get your own message iced on or you could opt for the I Love You cups (63g) for £3.50 to spell out how you feel. 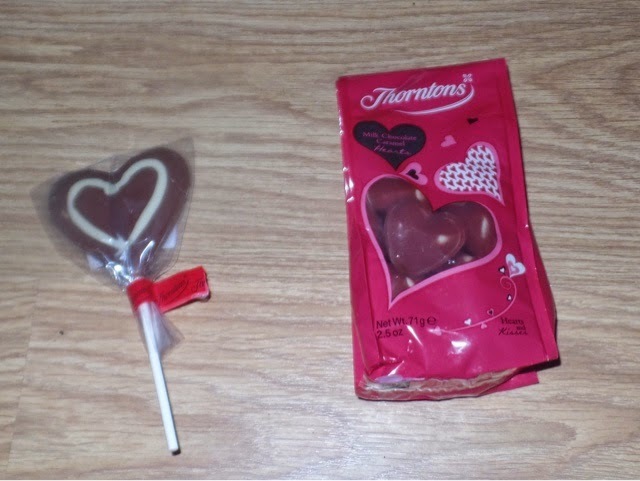 Finally, if you are looking for an add-on item to your main present, Thorntons also have a Milk Chocolate Heart Lolly (63g) or bag of Milk Chocolate Caramel Hearts for only £1! You can find out more about Thorntons on their website or follow them on Facebook & Twitter.